Singapore is a top gastronomy destination and you’ll find a diversity of flavors and cultural influences – from Chinese, Indonesian, Southern Indian and Malay. Save time researching the best hawker centers and the local dishes, desserts and drinks to experience in Singapore. Find color pictures, personal recommendations and tips on what to eat and drink, and where. Easy to follow with downloadable map featuring links for locations, exact street addresses and hours. Additional tips provided to help you eat like a local in Singapore. For a truly authentic eating experience, it helps to stay where the locals stay. In the local neighborhoods, you see where the locals eat and shop and you discover the authentic restaurants, markets and local food experiences. Far from the usual tourist trail, the quaint Katong neighborhood is known for its distinct Peranakan culture and influences. 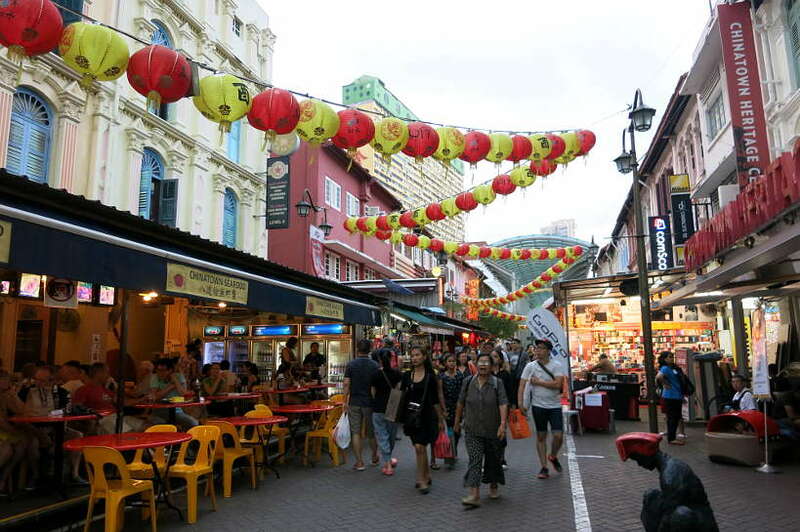 Find a variety of cafes and eateries, including the authentic old-school kopitiams at every corner. To taste a slice of local life in Singapore, we recommend Hotel Indigo Katong, Singapore. 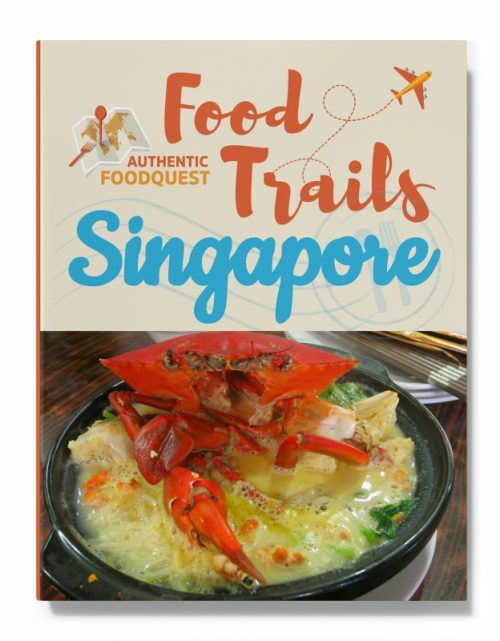 Get the Authentic Food Quest Singapore Food Trail and download it instantly to your phone, computer or tablet and access it anytime on the road. This food trail will save you time and help you eat in Singapore like a local. Don’t miss out on the delicious local dishes, desserts and drinks on your trip to Singapore. Rosemary and Claire are co-founders of Authentic Food Quest. 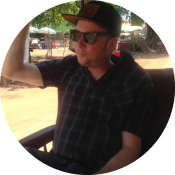 They aim to transform travelers experiences through the discovery and knowledge of authentic food. They believe that by traveling through food, people have more meaningful connections with the local people, food, and culture. What they liked about the food in Singapore: Amazing hawker centers. Multicultural cuisine. Michelin-starred hawker vendor. 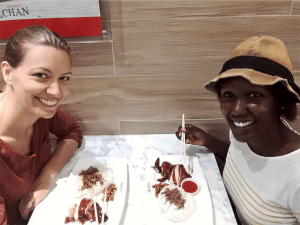 What is an Authentic Food Quest Food Trail? The Authentic Food Quest Food Trails provide highlights of the best authentic dishes, drinks, and desserts not to miss on your travels. Think of it as a snapshot of the must eat local foods and drinks and where to have them. Get the most out of your travels with trusted recommendations of what and where to eat the regional specialties. Why should I buy a Food Trail? – To save you time. No need to waste hours on Google researching what to eat. – Clear directions. Map to help you find local restaurants and markets. – Trusted recommendations. From two culinary explorers who have personally experienced all recommendations. How do you find Authentic Food at the various destinations? This is a question we get asked frequently. We travel slow and we use a process called “Savor Local.” It’s a 12-Step process to finding all the wonderful local and authentic foods at a destination. In summary, the process breaks down into four main parts.We start by researching the local foods ahead of time before we visit the country. We connect with locals prior to leaving and also while in the country. We visit numerous markets and food stores to see the unique and regional specialties. We interview local experts like chefs, food journalists, food-loving locals, and restaurant owners to understand the local specialties and their local significance. And finally, we eat at local eateries and restaurants that focus on regional and authentic dishes. What format is the Food Trail available in? 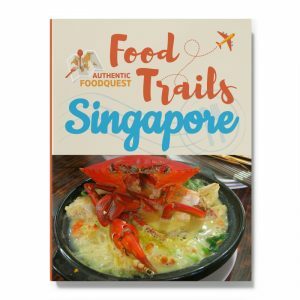 The food trail is available as a digital download PDF, so you can store it on your phone, computer or tablet and easily access it on the go. Please title the email Singapore Food Trail, so that we can respond right away. Going somewhere else? Check out our other food trails for Bangkok, Buenos Aires and Hanoi.